The urns are for sale, $240 plus tax and shipping. 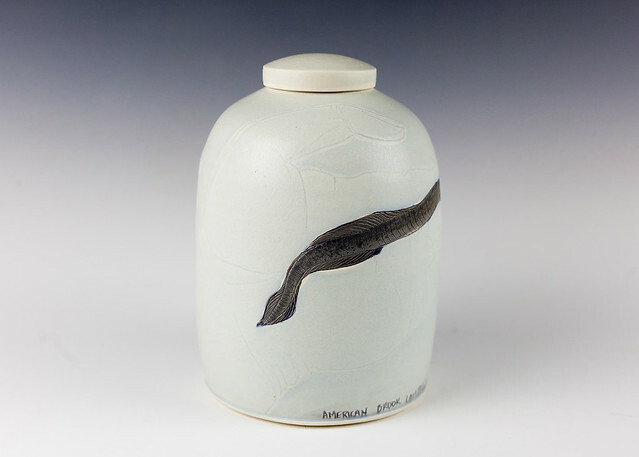 Email gallery224@fas.harvard.edu to inquire about purchasing an urn. A portion of each sale will go toward conservation efforts in each state where the species is vulnerable. 3/22/19: more than 800 detail images of most of the 305 urns in the exhibition, along with accompanying essays about each species, are in the album below. Mouse over the image below and use the arrows to click through the album, or click on the image to go directly to the flickr album to view them larger. Click on the three dots at the bottom of the image to view the essay about the species represented. Click Here to view all the images on Flickr. April 13 and 14, 2019 at Ceramics Program, Office for the Arts at Harvard.